Warlord Games isn't just doing their Bolt Action line with single-model reinforcements. Their Pike & Shotte line is getting the same treatment. 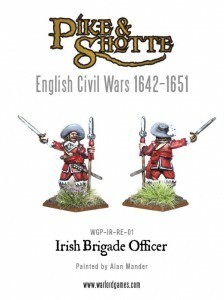 Montrose’s Irish receive the Reinforcements treatment this week – you can now buy the miniatures singly!